"But as for me and my house, we will serve the Lord." My parents invited us to go on a spring break trip with them to Florida…of course we said YES! Can’t pass up a fun family trip! Since I’ve been a mom, I say I WILL NOT drive in a car with children for more than 12 hours at a time. If the drive is longer than that we will fly! This trip was estimated at 13 hours (over my limit, mind you) BUT tickets to fly on spring break are not so pretty, so I compromised! Having to drive 13ish hours to go sit on a warm beach and relax (as much as you can with 3 kids) was going to be well worth it! We like to drive during the night on long trips. 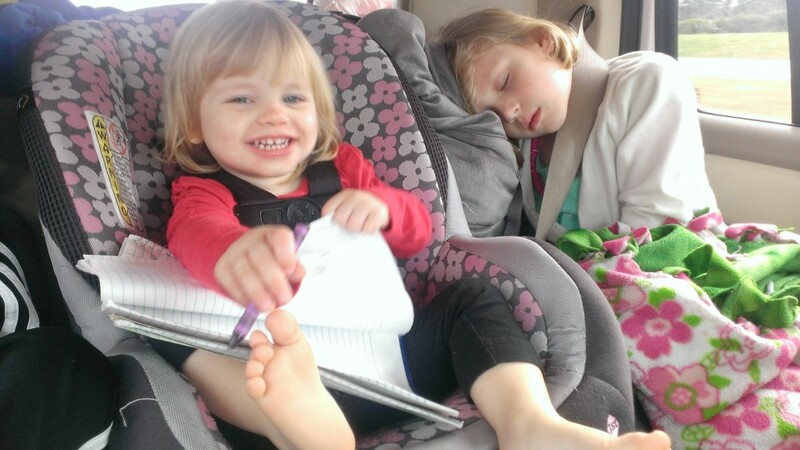 Kids can sleep, traffic is great and all is well on the road. We were making pretty good time, UNTIL we sat in traffic BARELY moving for an hour! It was mostly fun while it lasted. It was warm and sunny, we had the windows down, kids were dancing/talking to people in other cars around us. This was about 10 hours into the drive. It was all good…making lemonade out of lemons. THEN, the kids crashed! I have no idea how many hours it was but there comes a point when we are all done! The fun was over in the car. Now I had to work overtime to make tired kids happy! We end up stopping WAY too often to let kids potty, someone has their foot on someone…the list goes on! I wasn’t thinking this at the time but… That’s all a part of the road trip experience! You don’t get that on a plane. There you have to listen to some crabby stranger. There is something about being in the car stuck with your whole family when you’re tired and crabby that makes you all bond a little more and memories are made. It was a 15 hour trip on the way there. I would have to say that we were shocked how good the kids were! We were mostly worried about the baby of the house (she isn’t as experienced of a traveler as the older kids plus the fact that she has pretty much mastered the temper tantrum!) She did great and had some pretty awesome naps. So, really the car trips are kinda like our life in general…mostly good, fun, full of memories, with a little bit of junk that we would rather not deal with. We choose to focus on the GOOD! 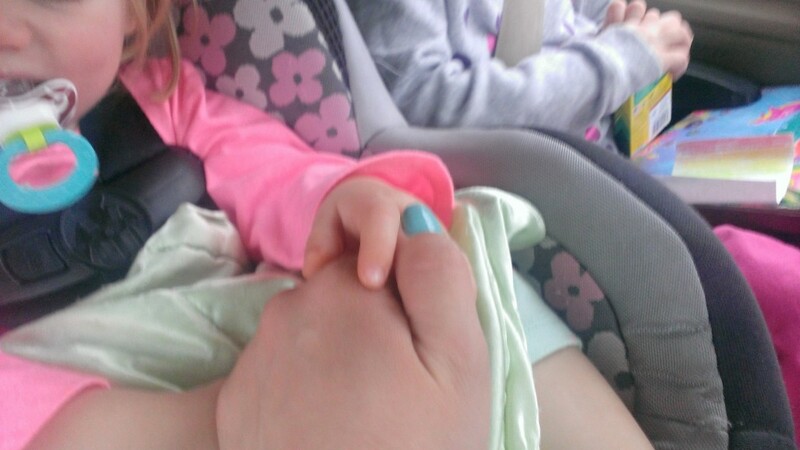 The whole car singing/screaming to the same songs over and over, whinny kids, your arm falling asleep while you hold your baby’s hand just to make her happy is really just Normal on the Road. This entry was posted in Vacation by Candiss Terborg. Bookmark the permalink. Are you ready to do it again?